I first met Paul at the wedding of Jenny and Marc, where he had been commissioned to do a live wedding painting of their ceremony in Greenwich Park with Rev. Schulte. This was the first time I had ever seen the live painting concept. Needless to say, I was completely blown away! What a unique treasure for the couple to have as a reminder of their special day. I was amazed that he was able to create such a beautiful portrait in such a small window of time. 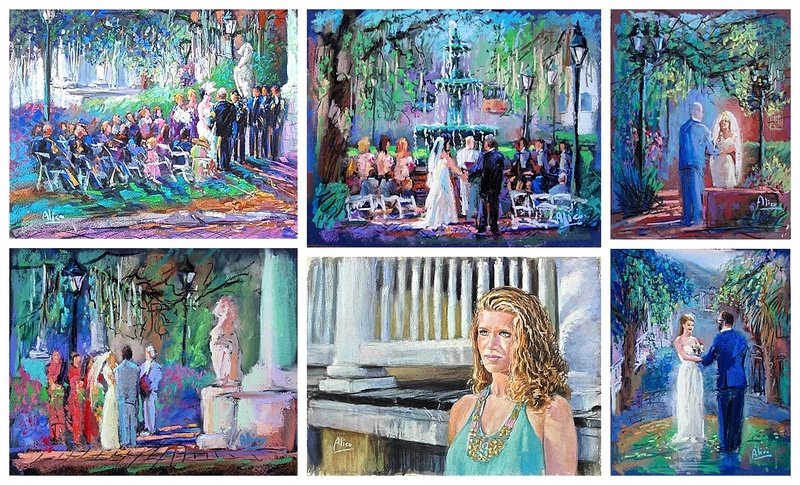 I think every bride that is planning a Savannah elopement or wedding should consider a live wedding painting by Paul! 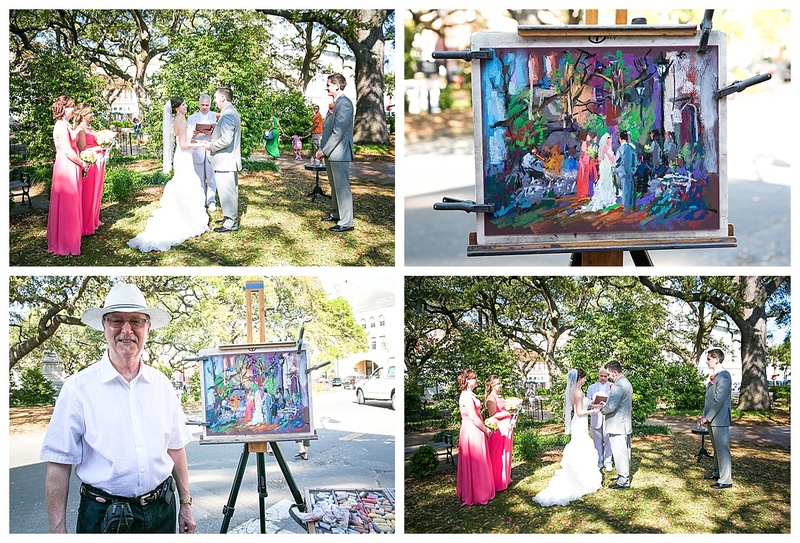 Paul is available to render a live pastel or acrylic painting of your Savannah wedding from the end of October through the first of June each year. 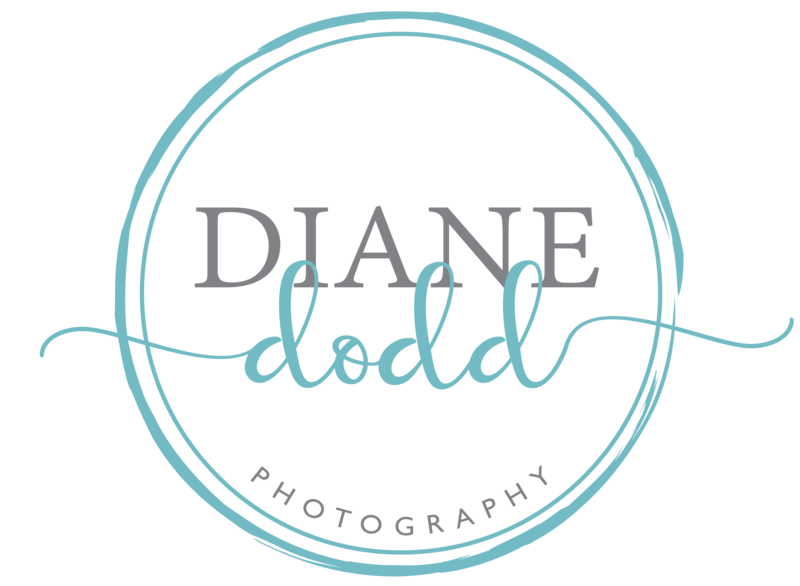 You can visit his website at www.paulalico.com for more info or call him at 912-675-6064. A few months later I got to work with Paul again during the wedding of Kim and Rick in Wright Square with Rev. Schulte and was once again in awe of his talent. I find his work so amazing and know Kim and Rick will cherish this timeless piece of artwork forever! 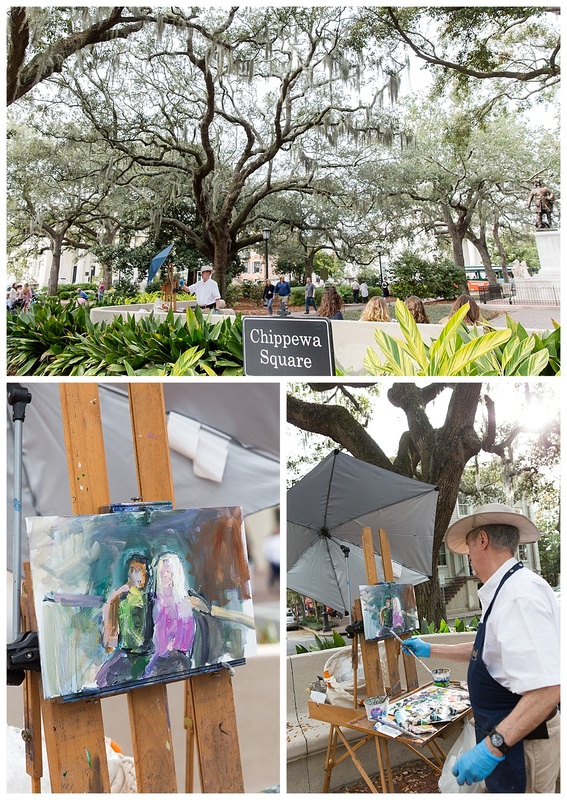 When he is not capturing weddings, you can find Paul painting the scenery and stunning landscapes in various squares and parks around downtown Savannah. 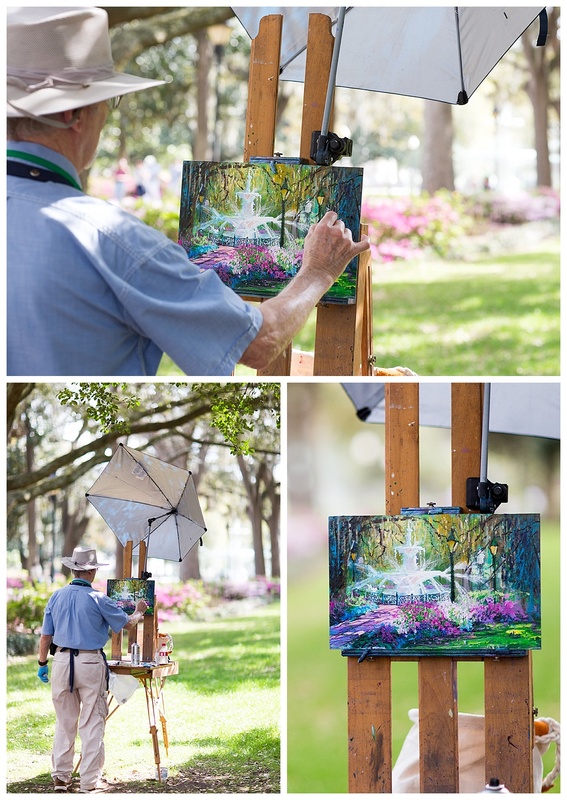 Some days I find him in Forsyth Park as I am headed to photograph an elopement or family session. I always love to stop to see what he is working on. 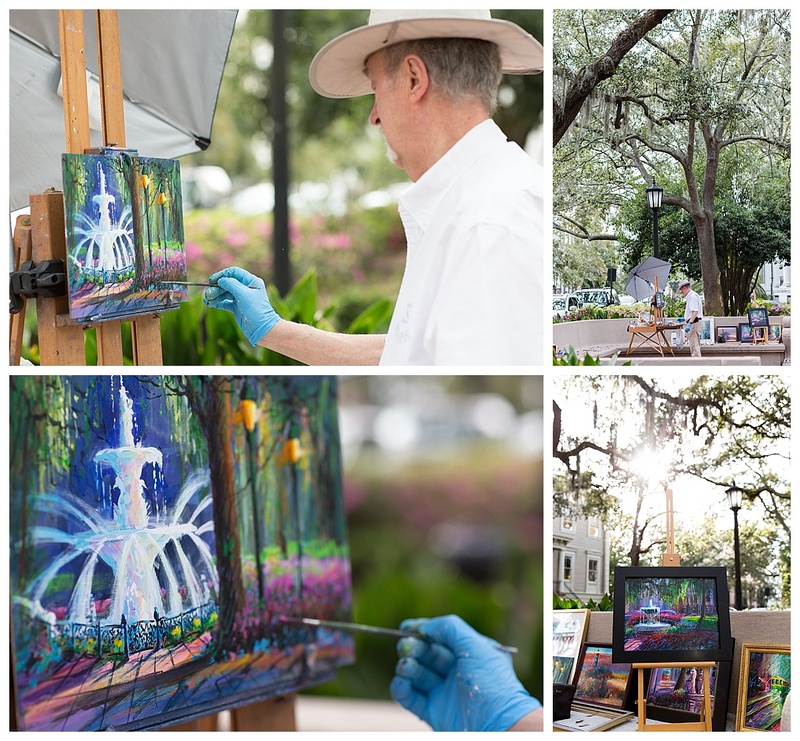 I think his paintings of the fountain are my favorite!! And don’t be surprised if you catch him painting a quick rendition of local visitors who just happen to be taking a little break on the bench next to him. Below are a few more beautiful samples of his work. Paul received a degree in Art Education from the State University College, at Buffalo and also served the Buffalo Fire Department for 20 years. Since his retirement he continues to refine his artistic ability by adding portraiture, landscapes and street scenes to his maturing palette. 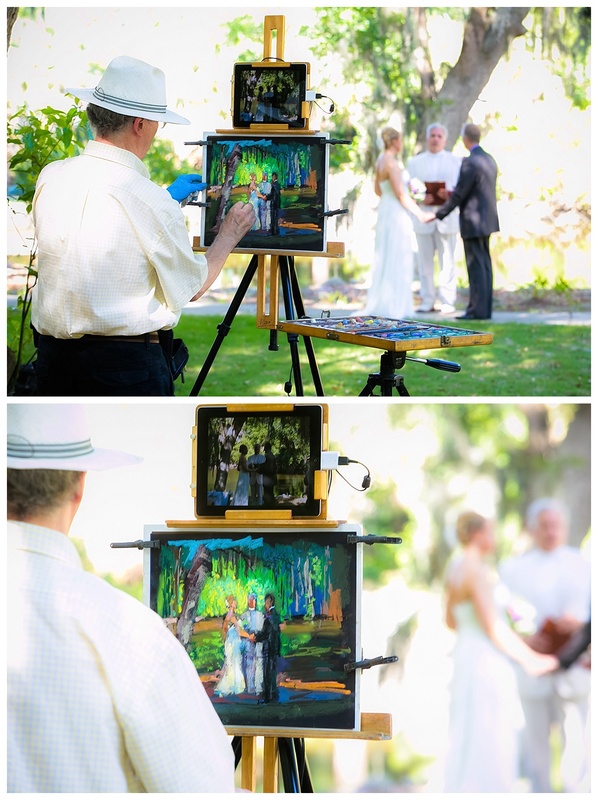 Such a special thing to have at your wedding, he’s so talented! I just love this so much! What a unique idea and I love his colorful style! Wow what a talent! I love this so much!